Made from fresh durian fruit and chicken eggs, it has the rich flavor and taste of the durian. A scoop has chunky durian bits. How cool id that?! It's like having a durian dynamite exploding inside your mouth! 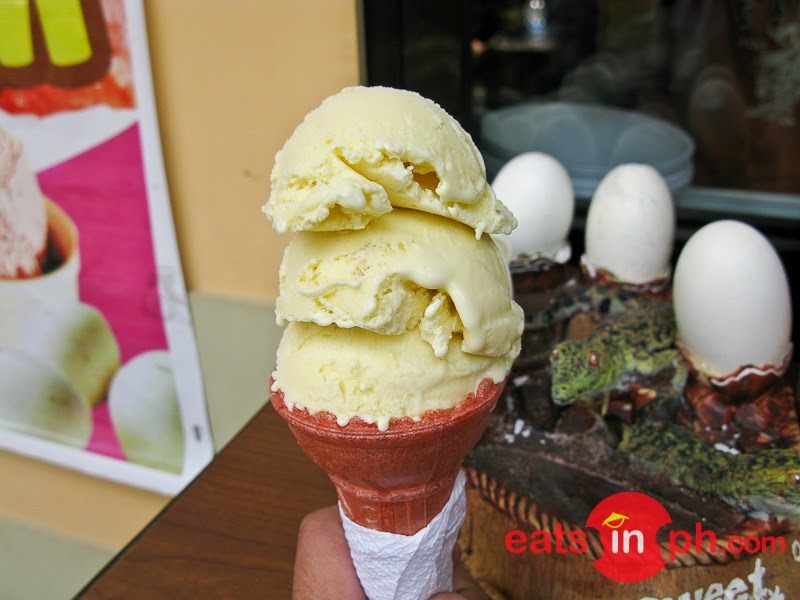 A must-try at Sweet Spot Artisan Ice Cream inside Davao Crocodile Park!